"There's been undeniable progress made since the ‘80s, but I feel like we're going through a different kind of darkness now, which seems to be evident in politics all over the world." Writer and director Yen Tan’s latest film 1985 explores family tension and belonging in a Texan town at the height of the AIDS crisis. Matthew Wade spoke to Tan ahead of the film’s Australian release. What interested you in writing and directing a film about AIDS in the eighties? 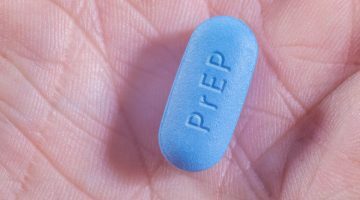 I met many men who were living with HIV and AIDS at one of my early jobs in the ‘90s working at a viatical settlement firm in Dallas, Texas. Both the short and the feature are attempts at relaying some of the stories they shared with me. I grew up in Malaysia in the ‘80s. AIDS often made the news in a sensationalistic and misinformed way, which negatively influenced how I viewed my sexuality. In my adolescent mind, I just assumed the disease came along with the gay experience, like A equals B with no distinction between them. I thought my life ahead was gonna be filled with pain, suffering, and oppression. Making 1985 was a way to give voice to a lost generation who are no longer here to tell us their stories, while addressing something personal in how I related to the disease. The film focuses on a religious family in Texas – why was it important to you to focus on a smaller story, rather than a sweeping look at the AIDS crisis? 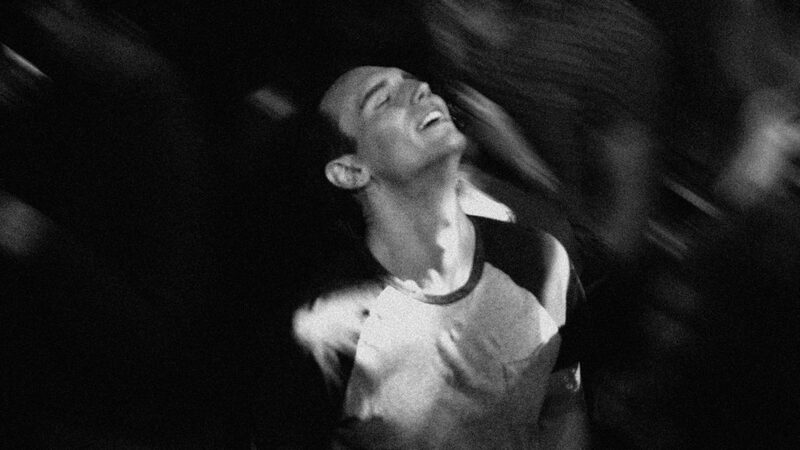 There have been many films that addressed the crisis in a wider scope, like And The Band Played On and The Normal Heart, and even the more recent BPM. I was more interested in something that wasn’t focused on the frontlines and the activism. Going by the stories I heard at my old job, I got a sense that there was a common thread of secrecy. Many people had to live in silence with the disease. The stigma was so deep and pervasive that coming out was not an option for them. I had to really think about what that felt like. It created an opportunity to tell an AIDS story where neither “HIV and AIDS” nor “gay” were mentioned in the entire film, but anyone who watches it knows those are the words in the subtext. It was a very effective way to put you directly in the shoes of Adrian, our protagonist, because you are carrying the burden of his secret with him. Was this why the film was shot in grainy black and white? 16mm film has a noticeably grain structure that feels immersive and alive. We also liked that it conveyed the idea that 1985 is found from the vault of the era, that it had this aesthetic of early New Queer Cinema and Jim Jarmusch, which I loved. At the same time, tonally it conveyed the starkness of the experience of being gay and living with AIDS in that dark era. Black and white feels like a memory. Yet, it also feels timeless, like some of the themes conveyed. Stories about HIV and AIDS often focus on the people afflicted with the virus, but the impact it has on their families are at times overlooked. Why is it important to highlight this impact as well? Because it’s universal. That’s the other tragedy of the epidemic: it didn’t just claim victims from the ones who got sick. It impacted their family and friends, too. They all suffered one way or another while support and acknowledgement from the authorities came too little and too late. 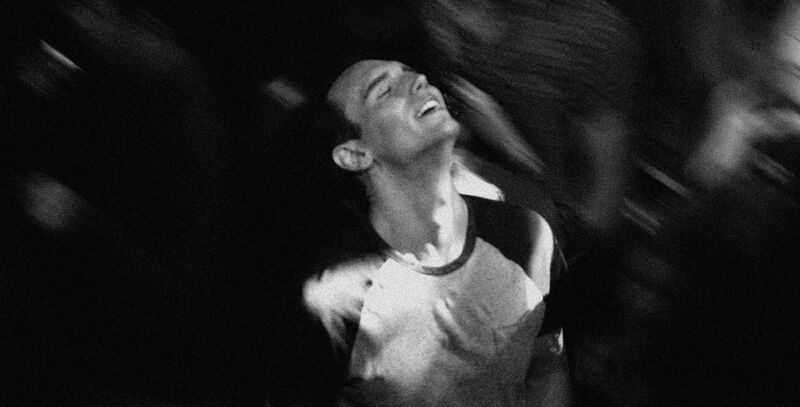 What are you hoping younger viewers (who were born post-AIDS crisis) will get from the film? I think there’s a lot to be said about the message that Adrian leaves for his younger brother Andrew towards the end of the film. It’s how I tied the past to the present. That “things tend to get a little darker before they get brighter”. There’s been undeniable progress made since the ‘80s, but I feel like we’re going through a different kind of darkness now, which seems to be evident in politics all over the world. Unfortunately, LGBTQ rights are always in danger of jeopardy, as we all know. Younger viewers need to learn that we cannot be complacent. Did you learn anything while shooting the film that surprised you? It was definitely sobering to hear how the epidemic affected the cast and the crew personally. Many of them had stories about who they lost, and what they remembered. I don’t think it’s something that we can get over. Therefore, we should never forget what happened. The film will be released here in Australia in April. How have you found audience responses to the film so far? The story is very rooted in a specific Texas culture that in many ways are still around today. I was initially concerned that the film was too regional in its specificity, but I’m now learning, having played the film all over the world, that many people related to it in a very meaningful and often deeply emotional way. I hope it’s gonna be the same in Australia, too. Why is it important for queer films and stories to be written by queer people? I think we need to look at this on a case-by-case basis rather than a one-size-fits-all. I loved what Ben Whishaw said about gay actors getting straight roles. The world I would like to live in is where queer films and stories are written and made by as many queer artists as non-queer artists, just as non-queer films and stories are written and made by as many non-queer artists as queer artists. It’d be a much more interesting landscape if we can have the freedom to dip into each other’s worlds equally. That’s not what we’re experiencing yet, but I’m hopeful we will get there. 1985 will be released theatrically on April 25. It will also screen this month as part of the Melbourne Queer Film Festival on March 16 and 20. 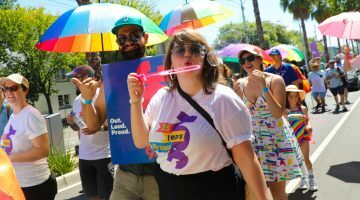 For more information visit: mqff.com.au.